Are you ready for Amazon Prime Day?! Beginning at 3PM EST today through Tuesday, July 17th, you can score this Keurig deal on Amazon! 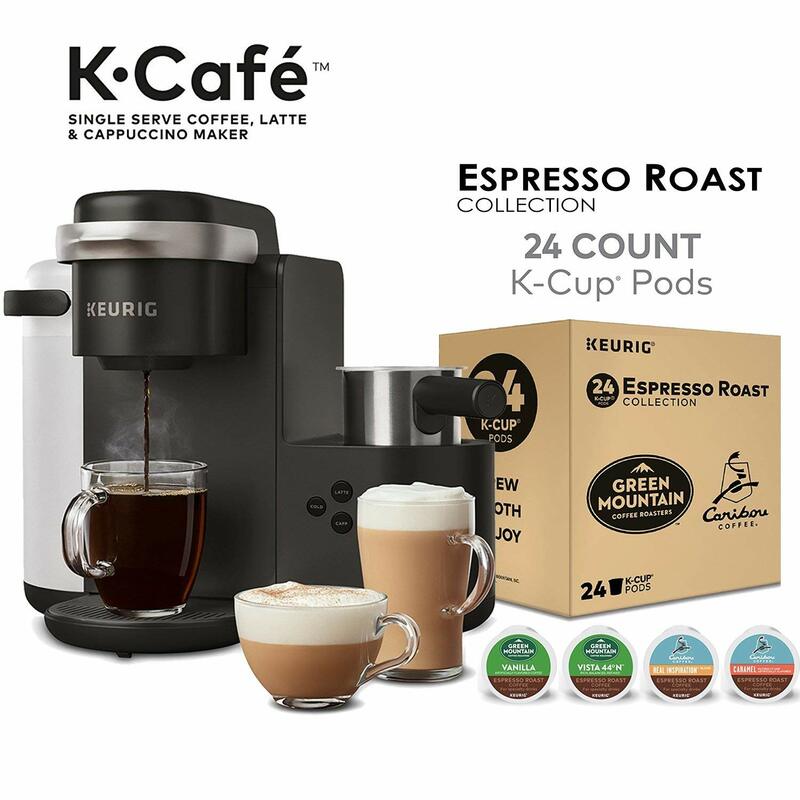 The New Keurig K-Café Single Serve Coffee, Latte and Cappuccino Maker + a 24-Count Espresso Roast Beverage K-Cup Pod Variety Pack will be available for just $129.99 ($179.99 value) on Amazon Prime Day. With this new innovation from Keurig, you can brew your favorite coffee or creamy lattes and frothy cappuccinos using any K-Cup pod. Skip running to the coffee shop and make coffee, lattes, and cappuccinos right at home or at work with this simple to use all-in-one coffeehouse brewer. *This offer starts on 7/26 at 3pm EST and will end on 7/17, only available while supplies last. Not an Amazon Prime Member? Sign up today for a 30 day free trial.